Hi everyone! I am so ready to share with you all the most amazing photos I have ever had the privilege & honor to shoot -- my nephew entering this world. Birth photography is not something I had ever considered in the past but then all of a sudden it seemed like I couldn't get away from it. I would scroll down my Facebook newsfeed and my Instagram home page and would be hit with so many emotions as I saw photos of these incredibly strong women giving bringing life into the world. The only logical thing for me to do was to text my SIL and ask her what she thinks about birth photography. Her response? "We love it!" Done deal. 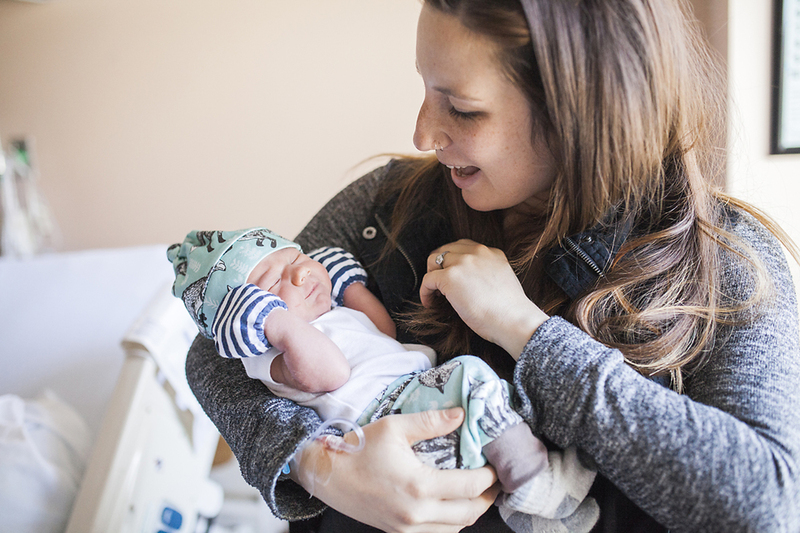 The days leading up to Haddon's due date were filled with anxiety and excitement, then his due date came and went and heavy emotion started kicking in. When I got the text 5 days after his due date that Brittany had been having contractions since the early morning I packed up my bags and hit the road. Once I finally got to their house (after maybe speeding a little and yelling at every single slow driver "DO YOU NOT KNOW MY NEPHEW IS ABOUT TO BE BORN?!") I was greeted by a very excited Daddy and a very determined Mama. After lots of pacing and finishing the laundry (Brittany, you are supermom) we finally packed the car and headed over to my brother's coffee shop in local Oakland market, Rocky's. Mama, determined to get a hot chai tea latte, started doing laps around the block. Meanwhile, as we timed each contraction and how far apart they were, my brother & I conspired together to call the hospital and ask them if we needed to come in yet. The nurse on the phone had the nerve to ask if Brittany was in pain. We laughed & snapchatted away, because there was no way we were going to forget that moment. Soon after a contraction ended we all piled in the car and sped off to the hospital. Remember how I mentioned that Mama was determined? Well, she was. We got into the hospital and she was already dilated 7cm (as the kids call it these days, she is very literally "goals"). After we got moved into her personal room the rest is pretty much a blur (as I am sure both Brittany & Christopher would attest to). There were lots of lower back massages, swaying back and forth, a full room of doctors, some yelps of pain evened out by some laughter and a little stubborn babe that made Mama wear an oxygen mask. All of a sudden it was time to push; a push or two later my brother turned around & exclaimed "YOU HAVE TO SEE THIS" after a milli-second of feeling like I might pass out I obliged and witnessed my tiny little nephew's head popping out, then one shoulder, then another, then his torso and lastly his feet. I fell in love instantly. To my brother & babygirl -- I will never forget these moments and I will be forever grateful that you two allowed me to be by your side during such an intimate, life-changing, beautiful time. I love you both & your kiddos too much (in the words of Sums). 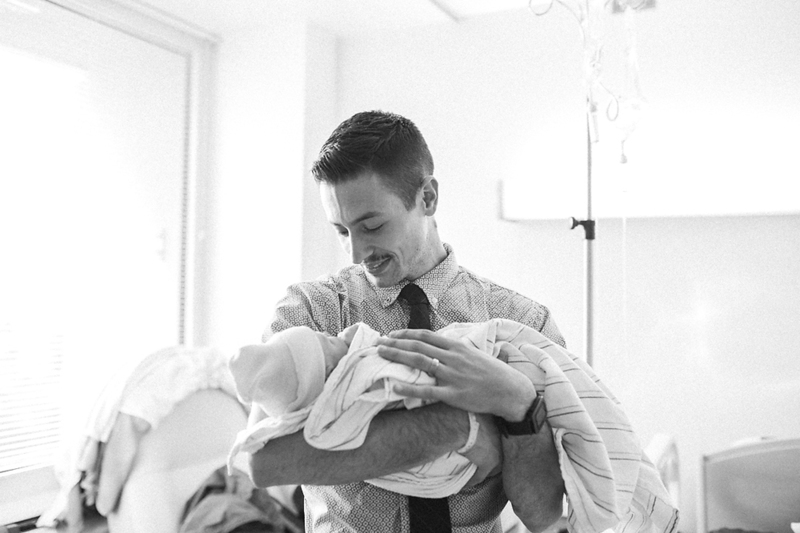 You have forever changed my perspective on birth photography and I look forward to capturing more in the future (even if birth photography means signing adoption papers for your next one). PS - Brit, you are totally going to be my midwife when the time comes for Morgan & I to have babies because quite frankly, you are a rockstar. *If you are interested in booking a birthing session please email me: hello@nicolequiroz.com or fill out the form via the contact page on my website. Thank you!